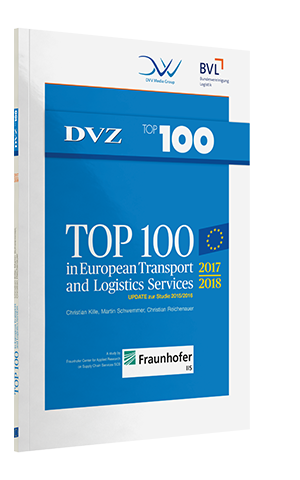 TOP 100 in European Transport and Logistics Services 2017/18 - An Update on the 2015/2016 Survey. The standard work on logistics – in English and focused on the “EU30” (European Union plus Norway and Switzerland). Macro data, differentiated by logistics submarkets, sectors and modes of transport, helps you to understand the logistics market. Learn more about your competitor or find a suitable service provider using the rankings of the largest logistics companies in Europe as well as the rankings on the nine logistics submarkets in Europe. You will exclusively receive the TOP 100 logistics company rankings in Europe with the most important key figures at company level. The Logistics TOP 100 provides you with measurements and analyses, as well as trends and potential. Here, you will learn how the European logistics market is developing. Experts from the Fraunhofer Center for Applied Research on Supply Chain Services SCS analyse European market trends in detail. The Top 100 will provide answers to your questions: How do logistics companies perceive and react to the topics of digitisation, start-ups and innovation? What impact has Industry 4.0 had on the logistics market area and what investment should companies now be making in digitisation?"